Once upon a time there was a moon in the Yalla Castle called Yal Moon, on which rabbits were making mysterious rice cakes. The rabbits on Yal Moon were all born from the eggs of the queen rabbit. As the queen rabbit grew older, however, there emerged a new generation of rabbits, called Alotokkys, who still had eggshells stuck on their heads after birth. With a great sense of fashion, Altokkys started to embellish their eggshells and bodies. 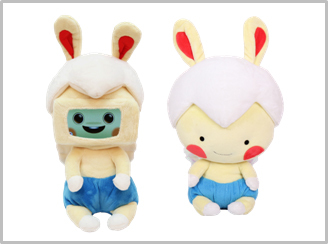 Are you up for a chance to your new friend Altokky, who makes mysterious rice cakes?